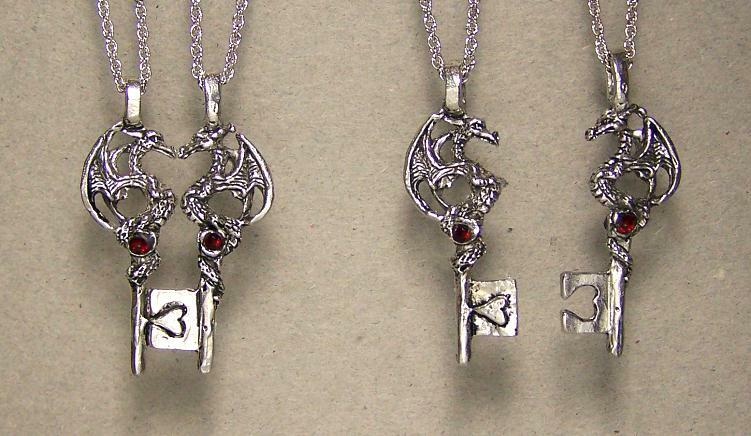 Two Dragon Keys, to show the love of friendship or passion. You'll each know that when your keys are fit together a heart forms in the space between them. We make them by hand from lead-free pewter with the finest Austrian crystals. Both keys come chained. Each half is 5/8" wide. 2 inches tall including the loop.